“This is Datta’s house, why don’t you people let your heart be Datta’s house”. After working in the government service for over thirty-five years, of which one decade was spent in Nuzividu, I retired and since 1997 I have been living at Mysore. My elder son, Dr Vamsy Krishna Ganapathy is a Vedic Scholar in Mysore Ashram. My second son, Chandra, lives in Omaha, Nebraska, USA. He is married and as of now, he has one son. In 1970, Dr. N.V. Raja Rao, a homeopathy doctor, told us of a yogi who was visiting Vijayawada. I went there with my father and two others. When we got there we saw the yogi sitting in a semi-dark room performing a Homa. Later we learnt that He was called Sri Ganapati Sachchidananda Swamiji. In those days there was no ashrama in Vijayawada so Sri Swamiji was accommodated at a devotee’s house. Later on I visited Him in the same area for His bhajan sessions. Then for a period of ten years I had no contact with Him. After this, He was camping in a mango garden of a devotee near Nuzuvedu. I went to see Him and He was doing a Homa there. After the Homa I had an interview with Him and I asked Him, “Why do you just visit this garden, which is outside the city. What about those people who live in the city.” He said, “Don’t worry about that, it would happen soon.” I tried to persuade Him but He was very passive and did not heed to my request. For forty days I visited Him in the evenings at Vijayawada, after my work was completed in my Nuzivedu office. My wife and I are used to perform hundreds of Anagha Vrata poojas with the residents of Nuzividu with a wish that we should get Guru Kataksha, the grace of Sadguru. Then in 1987 Sri Swamiji came to Nuzividu and the people there were impressed by Him. 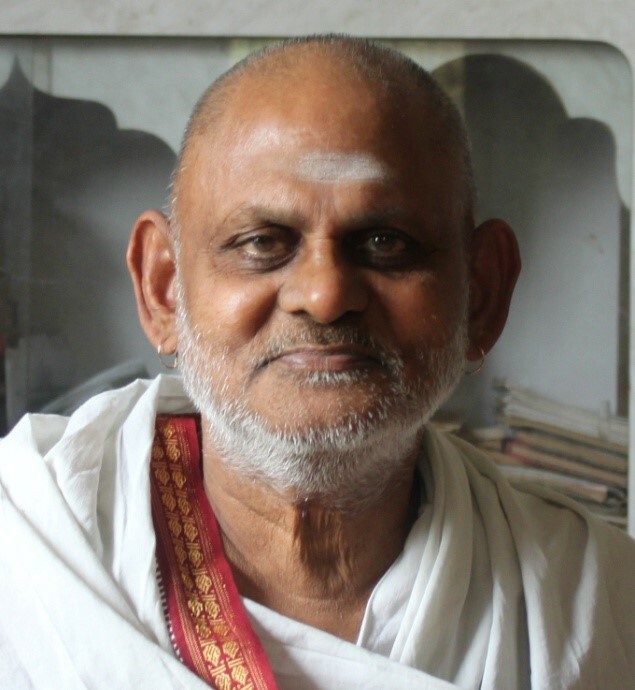 During this visit in January, an agriculturist, Akula Durvasa Rao came to Sri Swamiji with a mentally disabled son. Sri Swamiji said He does not cure anybody with magic, and so He did not help the boy, but Durvasarao develop a strong devotion to Sri Swamiji and he donated a site for the construction of the Nuzividu Ashram to His Holiness. Later that year, in September, Sri Swamiji visited Nuzividu again. While taking the site Sri Swamiji told Durvasarao that he must make the offering without any wish in his mind. With humility this bhakta presented all the documentation necessary for the smooth transition of the property to Sri Swamiji. Slowly the Ashram developed and the Deva Deva Avatara Datta temple was constructed and inaugurated in November, 1989. Eventually the boy died but the parents were not hurt. They were mentally developed and believed whatever has happened was for their good. In 1993, during one of His visits, Sri Swamiji informed the ashrama trustees that He wanted some work to be done by this fellow, me, and it is completed; now he wants to move from this place. Not long after that, without even applying, I was transferred to some other place. I realized then that it is only Sri Swamiji who should be interested for us to get His work done. In His wisdom He gave the knowledge and strength for me to make my contribution to Nuzividu Ashram. In 1985, during the Shivaratri period we took our first born son, Vamsy Krishna and offered him to Sri Swamiji for His service. Sri Swamiji instructed us that we should bring and offer him at the Mysore Ashram and we followed His advice. Slowly we started attending the programs at the Mysore Ashram. Sri Swamiji used to joke with us and ask if the purpose of the visit was to see our boy or His Holiness. He is now one of the ashramites. Sri Swamiji discreetly enabled us to develop detachment. His teachings are most important. Now that boy is staying at the Ashrama and he is helping others to understand the wisdom of Sri Ganapati Sachchidananda Swamiji. My second son, Chandrashekar, is also an ardent devotee of Sri Swamiji. Once he went to Sri Swamiji and expressed his wish to stay in Mysore and serve Sadguru, but Sri Swamiji sent him back to finish his studies. Eventually he was sent to USA, but Sri Swamiji told him, “You have to come back whenever I tell you”. Now he is settled nicely in USA and Sri Swamiji found a nice alliance for him and they are blessed with their baby boy. My mother died in 1983. My father who slowly became a devotee of Sri Swamiji passed away in 1996. Generations together we are devotees of His holiness. My parents, me, my children and now my grandson, we are all his devotees. There are hundreds of such devoted families of Sri Swamiji. Many devotees I have known have given up their bad habits and accepted the pathway of spirituality. Spiritual evaluation is possible and is decided only because of Sri Swamiji. It is not something that we can count. When we leave our bad habits and follow Him sincerely, only then can He give that awakening to us. The amount donated to Peetham serves two purposes. Not only the sins get washed up but also we get prone to do good things. Slowly we will be less sinful and develop devotion to His Holiness and good things can be done for the society. Like that I find many people becoming good individuals. Several devotees and families have been blessed by Sri Swamiji’s music and we are one such family. His music is wonderful. During my second visit to Vijayawada, I heard Sri Swamiji sing “Vittala Vittala”. His voice resonated and was very intense; I saw the passion for God. I had heard so many musicians, but they did not have that yogic power in their voice. Sri Swamiji is not only a musician, but He blended yoga into His music, in this way He is able to penetrate an individual soul. He is Nada Brahma. In 1985 my wife and I attended Kriya Yoga class taught by Sri Swamiji. He spent many hours teaching us the procedure. It is a wonderful procedure to cleanse both body and mind. Sri Swamiji says that it is ‘not only in the ashram or serving His Holiness physically,’ we can render our service, but staying outside we can do it too. Some people may feel jealous of ashramites, but we need to balance our mind, that distance doesn’t matter. Mentally we need to render our service Him in every possible way. Spiritual growth is quite possible thereby. I feel one’s life itself is a miracle. To be born on earth, being a contemporary to Sri Swamiji, knowing Him and to be able to have His darshan is indeed a miracle itself. We are able to see Him, the lord Himself with these eyes. Isn’t that a wonder? When I used to render any service to Sri Swamiji I used to feel that it was He who makes me do. I used to translate His speeches for the foreign devoteesfor sometime. During one occasion Sri Swamiji pointing out to Datta’s temple said, “This is Datta’s house, why don’t you people let your heart be Datta’s house”. Jaya Guru Datta. In 1981 my friend, Mr. Peter Hinkles from San Fernando, invited my wife, Chanwatee and myself to meet a Swami who was visiting from India. Mr. Hinkles said that this was not the usual Swami and he cannot guarantee that He will give her an interview. My wife, Chanwatee, accepted the invitation and since she could not drive I took her to see the Swami. When we arrived there I saw a lot of people and I knew that she would not get a chance to meet Him. I found out that His name was Sri Ganapati Sachchidananda Swamiji and He was from Mysore India. I was at the back of the crowd and I saw Chanwatee and her son Mohan going into a room with Sri Swamiji. When they came out, she told me that Sri Swamiji had invited her to come to India and visit His Ashrama. I did not think that she would go to India since she did not have a passport; she does not travel anywhere by herself and she had never been on an airplane. In 1982 everything fell in place for her and she went to India to visit Sri Swamiji; Ganesh (Mohan) and Vishnu accompanied her. When she arrived at the Mysore Ashrama, Sri Swamiji had finished the day’s program and retired for the night. She asked to see Him and the ashramites told her that once Sri Swamiji retires for the night, He will not come out. She told them that He had invited her and she came all the way from Trinidad, and she must see Him. The ashramites went to Sri Swamiji and some time later Sri Swamiji came out and met with her. She was very happy. When she returned home all she spoke about was Him. In 1983 Sri Swamiji visited England, and Chanwattie, Mohan and Vishnu went to meet Him. She came back very excited and said that Sri Swamiji told her that on His next visit to Trinidad He will visit our home in Princes Town. I was happy that she had found her Guru. During Sri Swamiji’s next visit to Trinidad was in 1984. My family and I were invited by Krishna Kishore Persad, a devotee from Arima, to come and meet Sri Swamiji at his home. We all went and witnessed Him perform the Homa. After the Homa, He started climbing the stairs to go to His room; I was standing at the bottom of the stairs. He climbed two steps; then He stopped and looked back at me. He rested His hands on my shoulders and said, “Ramdath.” Then He went up the stairs. I stood there staring at Him go up the stairs thinking how did He know me as I never met Him before. Little did I know; He knew me more than I can ever dream of. Something shifted within me that day and I felt myself getting closer to Him. A few days later He made a visit to our home; #12 Hindustan Road in Princes Town. We had a small wooden house; it was constructed on wooden posts about six feet high. We lived upstairs and the downstairs was an open area. Sri Swamiji came upstairs and sat with us for a long while. He left, saying that He will be back in a few days to perform a Homa there. I was not comfortable with this idea for my house was too small to accommodate the crowd. Upstairs, the area was too small to conduct the Homa and downstairs, the wooden floor of the house would be right above the fire and that was not good. When Sri Swamiji came He suggested that we do the Homa right under the house in an enclosed spaceand put galvanize sheets below the wooden floor, to protect it from the heat. He did the Homa and everything went well. A huge crowd came and somehow our small house accommodated everyone. At then end of the program Sri Swamiji said to all present, “I have found the root!” I did not know what He meant then, but came to realize later that He was saying that He had found the root of the Datta Yoga Center in Trinidad. After this visit, my relationship with Sri Swamiji got stronger and we began to live our lives according to His teachings. In 1986 Sri Swamiji came to Trinidad and He once again our home in Princes Town. He told me that He wanted a piece of land to build a temple. I explained to Him that the land in the area close to our house was undulated and subjected to landslips. He left Trinidad and I put the thought in the back of my mind. In 1989 Sri Swamiji invited Dr. Ralph Sieupersad and I to visit Him in India. We went to the Mysore Ashrama and He was so happy to see us, He made us feel at home and showered His love on us. We swam in His pool and He took us to visit His birth place, Mekadatu. He said to me then, “Now that you have come to my home, I will come to your home when I come to Trinidad for more than seven days.” He has kept to His word to this day. He called a few of the devotees and told them to assist in building the temple. After He left we began building the temple. I wanted a high ceiling structure to facilitate Homas and also a solid foundation since the land was prone to sliding. In order to build this I had to get a steel structure. I did not have any idea how to do this. By the grace of Sri Swamiji, Edward Yogi Bharath, a fellow devotee and an engineer, came and assisted with the steel construction and overall completion of the temple. The temple is still standing there to this day, with no problems of the land sliding. Later, we built a Guru Nilayam behind the temple. On 18 August 1997, Sri Swamiji inaugurated the building as a Datta Temple. When He came to the temple, He told Chanwattie, “I told Ramdath to build this temple a long time ago, and what did he say? Swamiji, there is no land, no land. Look now, Datta Temple has been built, same Ramdath and same land.” I asked Him what spiritual sadhana I should perform and He told me to take care of the temple. He was very happy and so were we. 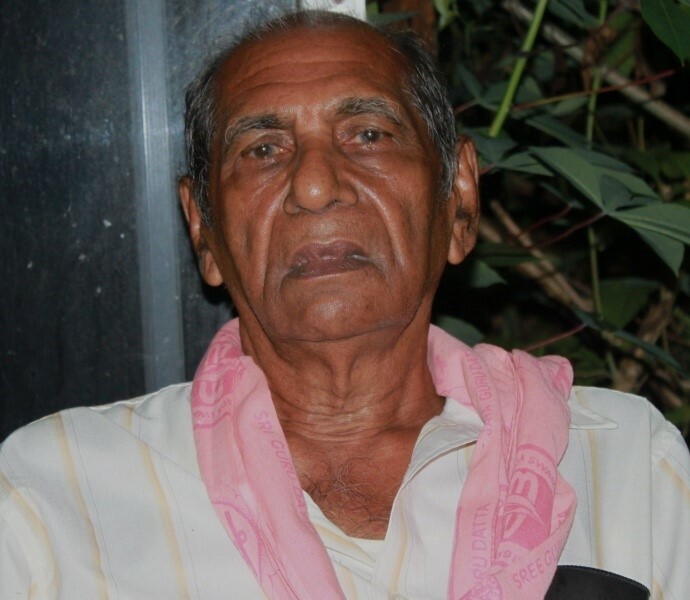 Four months later, on Datta Jayanti day in December, Chanwattie passed away. Sri Swamiji told me that she is with Him. She would not have wanted it any other way. In 1992, Sri Swamiji performed the wedding of my son Vishnu and Asha. He took the role of a loving mother and father at the wedding ceremony. In Trinidad, it is not our custom at wedding ceremonies for the bridegroom to offer a mangala sutra to the bride, so I had no idea I had to get one for the ceremony. However, Sri Swamiji gave a mangala sutra and sari to Asha. He did not ask me anything; He took it on himself and acted as a parent. When I saw this I realized how much He loves us, the Ramdath family. ‘There is neither bad nor good, none of this exists, this whole creation is a fabrication of your own mind, it is not real. I met Sri Swamiji for the first time in 1998 at the Baton Rouge Temple. I love children and as a young girl growing up I thought that I would have many. My main reason for getting married was to have children. Nine years went by and we did not have any children. The doctor advised us to adopt. We adopted a baby girl and I was very happy. When she turned three, we decided to adopt a baby boy and to our surprise I found out that I was pregnant. I gave birth to a baby boy. I got very attached to my children because I had waited so long to have them. I fulfilled my dreams through them by having them receive training in music, dance, and for our son, even training in chanting from the Vedas. The children excelled in everything that they were taught. They did a dance performance in Houston of which people still talk about. When I saw them perform, I felt very happy. I spent every waking moment thinking about them and doing things for them. While still in college, my daughter met someone she liked, got married and moved away to California. I missed her a lot. Our son moved away also to go to college. I missed him and I began to feel a void in my life. I had focused all my energy on the children and in the process forgot about me. Now I was left with me, a stranger to myself. I became vulnerable to stress and depression. I had all the material comforts in life, but I felt very lonely. Unpleasant incidents occurred with people close to me and it hurt me a lot. I was not able to cope with the pain and my depression grew. My condition grew worse daily and I got to a point where I would not talk to anyone, even on the telephone. I did not want to live. Thinking about how unjustly I had been treated, I would seethe with rage, burn with anger, and found it very difficult to forgive. I convinced myself that I would never see their faces again. One day a man, who is a devotee of Sri Ganapati Sachchidananda Swamiji, called my husband, talked at length, and told him to take me to his house. My husband convinced me to go and I went. This man was a psychiatrist and wanted to talk to me about my condition. He said that I needed treatment or else I would harm myself, perhaps even commit suicide. He convinced me to go to his office the next day. I went there and after an examination he put me on an anti-depressant medication. In course of time the dosage reached the maximum that he could prescribe. He told me not to miss taking the pills for even one day, for it would be detrimental to my health. He said that I had to take the medicine for the rest of my life. I could not drive because of the severe side effects of the pills. I begged the doctor many times to put me in an institution, but he refused saying that once I go in, I will never get out. I had to live my life like this, depending on the pills to protect me from myself. I felt this void within me, like my life was missing something. I did not know what it was. Then that blessed day came when I received a flyer in the mail advertising Sri Ganapati Sachchidananda Swamiji’s visit to Baton Rouge for the Guru Purnima Celebrations. I went to the program and when I looked into His eyes I knew instinctively that He was my Guru. I felt that we had a connection from the past and that He knew everything about me. I did not feel the need to tell Him anything. There was no need for words. Then my mind jumped in and demanded some logical reasons for trusting him with my life. In the months that followed, He made it easy for me to surrender to Him and accept Him as my Guru by giving me verification and proof of who He is. Within a couple of months, the connection that I had felt with Him drew me to His ashram in Mysore, India. He did not talk to me there, but just by His presence, He gently blew away the dark clouds of my depression and I felt relieved. The heaviness left me. I began to laugh again, something that I had not done in years. In silence He removed the afflictions of my mind and heart. I was mesmerized by this silent power. I threw all my medicines in the garbage; I did not need them again. I owe my life to Sri Swamiji. He saved my soul. I returned to India two months later. I performed Pada Puja to Him and He said, “Tell me about you.” I told Him, “I am happy, I have a daughter who has a wonderful husband and my son is in college.” That was all that I spoke. On this trip I attended the Kriya Yoga course in Mekedatu. It really helped me spiritually. My husband also met Sri Swamiji and he also grew to love Him. For us to be together with Sri Swamiji is a great blessing indeed. My husband and I became involved with the Baton Rouge Temple and began participating in the events. Our son, when he came home from college began to notice that our lives were now centered on Sri Swamiji, and I in particular had shifted my focus from him to my Guru. He did not know how to deal with this situation. He became rebellious. He verbally abused Sri Swamiji in front of us. We could not handle his tantrums. He felt that Sri Swamiji had taken his place in my life. After some time I realized that this was Sri Swamiji’s training for me in detachment. I never questioned His wisdom in this situation for I knew that He gave me what was best for me and He gave our son what was best for him. Our relationship with our children became strained for a while, in order for us all to grow spiritually. Now, we as parents have learned to let go of the emotional leashes on our children and they have in turn learnt to grow as independent individuals. We now have mutual respect for each other, all by His grace. My husband and I came to the USA many years ago with two suitcases each. Since then we had increased our possessions with houses, cars, money and other material things. Now, after meeting Sri Swamiji, we have lightened our burden of all those things and Sri Swamiji is all we have. Our relatives and friends think that we are mad to have done this, but we tell them that when we have Sri Swamiji, we have everything. Sri Swamiji has revealed to me that this world is just an illusion. There was a residue of guilt left in me because of my past mistakes. In one of my meditations He said to me, “There is neither bad nor good, none of this exists, this whole creation is a fabrication of your own mind, it is not real.” I replied, “I accept that this is not real, but what about this ‘I’ that is talking to you right now?” He replied, “Even that is an illusion, it is not there.” At that moment I experienced the ‘I’ evaporating and all that remained was Bliss. After this experience, how can I ask for anything, when He has shown me that there is nothing? I began translating Sri Swamiji’s speeches into English because of an experience I had. One day I sat down to listen to Sri Swamiji’s live program being broadcast on the web. I grab every opportunity to hear His nectarine words. I sat and listened, but could not understand a word of what Sri Swamiji was saying. The audio quality of the webcast was so bad that day. I became frustrated and suddenly realized that this is how the devotees must feel when they cannot understand the language that He is speaking. Since that day I try my best to do this service. In reality, I am just the hollow flute and He is the melody. I was born in Pakistan in 1934 and along with my parents and other members of the family; I migrated to India in 1947 during the partitioning of the country. My early education was at a Muslim school. Being brought up in Pakistan and having seen the tribulations of life, the partitioning, the open massacre of people; Hindus and Muslims killing each other, this left a very deep scar on my soul. Anyway, my early childhood was all spent around troublesome years of ‘Second World War,’ then the Partition, leaving on my mind very adverse impressions of life. As I grew up, I didn’t have any notions of religion or spirituality, and I became materialistic, so my mission in life was to be successful materially. I came to Delhi in 1948 and went to college and university and graduated with high success. I was highly ambitious and was obsessed with the idea of becoming someone great. I got a teaching job in the university and completed my Masters with first class honors, and by which time I was married. Even my life was successful and we had had three children; Nandini, Deepa and Roopa. 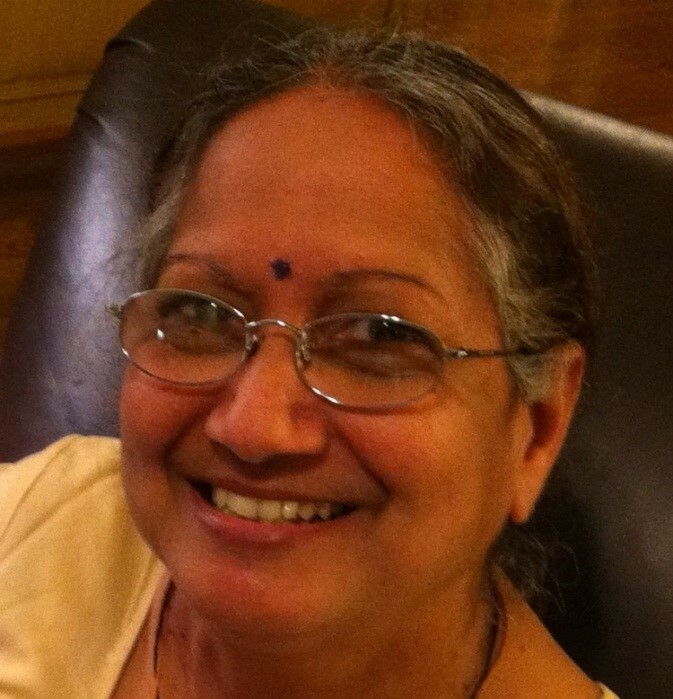 In 1969, all of a sudden, Deepa fell ill and we thought it was something normal, but it was much more serious, as she was found to be suffering from acute leukemia, or blood cancer. We consulted with top children blood specialists, doctors in top hospitals in Delhi and they would tell me, “Mr. Kumar, we are sorry; your child will live for only about six months. We cannot pronounce the date of death, but you have to live with this reality.” I was totally crest-fallen, dumbfounded as she was a beautiful child and I was immensely attached to her. I would cry, drink, and wonder if there was any power that would give life to her. It was all gloom for me; life became very miserable; it was all-round depression. The child did not know what was happening to her, but the family and parents knew that she could die at any time. Words cannot explain how parents feel at such agonizing moments. In those moments of crisis I would run here and there. If someone would say ‘there is a healer in that church,’ I would go there, and if I heard about some guru, I would run there. In my childhood I had heard that miracles do happen to some people in their times of crisis, and I also began to wonder if a miracle could happen to me also. That’s how I spent the following months of October and November, wondering about this. Then a friend told me about a saint, Sri Ganapathi Sachchidananda Swamiji from Mysore, whom I should meet, informing me the maybe He could help me. 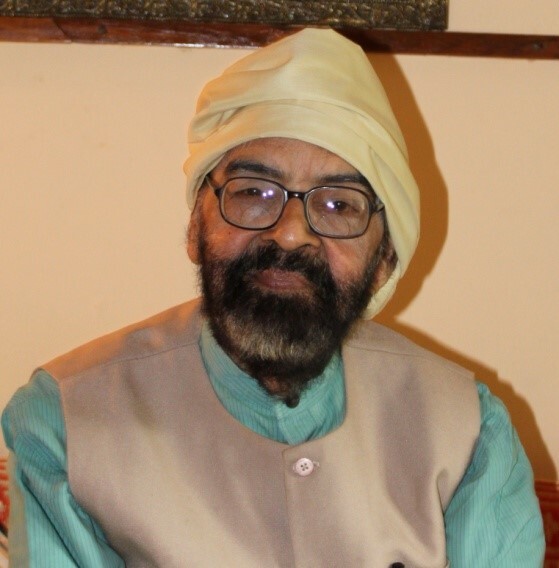 In December I wrote to Him telling Him about my dilemma and in about ten days, a reply came back advising me to bring her to the Ashram for Shivaratri that was on February 1970. In 1970 when I came to the ashram there were a couple thousand people flocking around Swamiji and He was a young lad jumping here and there. I could not make out anything. I had some negative thoughts since I did not like people superstiously following Him and I was thinking, “How could this Swamiji be a spiritual person?” I waited about two days, and then I had a chance to meet Him. As I was holding my daughter, He stretched out His hand, indicating that I should give her to Him, and at that moment, I broke down in tears. After this we went back to Delhi and I began doing worship once a week. Every Thursday I would do abhishekam, even though I did not know its significance, but I felt like giving water to Ganapathi. I would pour some water, sit for some time, chant Sri Swamiji’s name, and pray to Him. One month passed and within that time when I took my child for medical blood count exam, she did not show even one percent of cancer cells in her blood. That gave me tremendous courage and thrill. One month later I rushed to Mysore, and started jumping ecstatically telling Sri Swamiji, “A miracle has happened.” Till that time I had never seen Swamiji materializing anything though we had heard of it. I had a great desire to see. I gave Him a flower and from that flower a murti of Ganapathi emerged. I again started jumping with excitement and joy. As I was staying in the ashram, one afternoon He called me and started uttering a few sentences, looking very deeply at me. He was actually telling me, who I was and my relationship with Him, also what I will be in the future and He revealed other certain things to me. Those revelations were very shocking at that point in my life. Also, the mood in which He was saying those things; it was in an obsessed mood, not human, as though some power were talking to Him and telling things about me. Then He took me to His room and showed me a map of India, showing certain places saying that He wanted to go there. “Will you take me? Will you take me?” It was a heaven-sent opportunity for me, and so this is how I entered into this missionary life and started to serve Him. I forgot about my child and wanted to serve Him, put my mind to do whatever He wanted. It was a wondrous time, going with Him to the Himalayas and North India; to the holy shrines of Badrinath and Kedarnath, Allahabad, Benaras, Kashmir and Jammu. After about two years, while sitting together with Sri Swamiji and about fifteen other devotees, I was given the opportunity to serve Him as a secretary in North India. I would help by interpreting His speeches, and did whatsoever He wanted. On one such meeting when we were together, He whispered to me, “Now danger, be prepared.” I could make out the purport of His statement that my child was not going to live any longer, and I should be prepared. Four years had passed since I met Him and I was a different person; my life was now His, and as it happened, within one month of His statement, the child Deepa, whose life He prolonged for four years, passed away. It was in 1974, and the most beautiful thing was that the last thing on her lips was the name of Sachchidananda. At about the age of six she used to write poems for Sri Swamiji and sing them to Him. So through Deepa, He made me come in contact with Him, consolidated the flame of love between us and created a deep commitment in me to serve Him. This was my ‘childhood’ with Sri Swamiji. From 1970 to 1974 when Deepa passed away, it was a wholesome love relationship with Him and from then I began to feel a pang of separation from Him. I could not live in Delhi, for more than two months, without seeing Him, so every so often I would come to the Ashram and spend a few days with Him. The Ashram was like a jungle and a few people were with Him then. I had beautiful association with Him, no questions, no inquiries, simply seeing Him, loving His Company, laughing, joking, and travelling with Him, but never having any serious discussion, it was not required at all. Increasing association with Him drove me to try and understand who this Person was more and more, and what was so special about Him. A sense of inquiry started coming to me. Till then I had not read any spiritual books, so I started to read books about great Gurus like Ramana Maharishi, Ramakrishna Paramahamsa, Tukaram, and other saints. These readings inspired me and created a sharp drive, a longing for God. Up until then I never treated Sri Swamiji like God. Is He God? This question never bothered me. But now the idea of God, a super Power controlling the universe, and the love for Him began to shift to a longing for the Divine. What is that Power? I could never dare ask Him these questions because when we are in front of Him all our questions vanish. He would never ask anyone to do a particular thing, so people are the same as they are. Anyway, my longing increased day by day. I was no longer satisfied with the temporal existence and the same question of becoming somebody great in my life, in my youth, shifted to a notion that I must excel in divinity. I now realize that this was a gross mistake, because we are not to become anything in divinity. Thus I began searching for something which was unusual in Him; I tried to evaluate Him, trying to see how His actions and moods were different from normal people. My mother was baffled, and she came home and told my father what the Mahatma said. My father did not believe in all this, and never got it done. This happened about when Sri Swamiji was not yet born. Then in about 1982, while I was sitting next to Sri Swamiji, all of a sudden He whispers in my ear, “Your water pond was not complete, at least you have to build a water tank, get it done, and finish the job.” I immediately recalled the incident with that mahatma, and realized that Sri Swamiji knew all about my past; everything about me. I was shaken, face to face with Swamiji who knew everything about my past, and was making me complete what my parents had not done. I immediately sent some money and had that work completed. This left a lasting impression on my mind. This proved the sloka true: the mantra recited in honour of Sri Swamiji, “The One who is aware of all the three kala; the present, the past and the future.” This was the first face to face revelation made by Him to me, and that further cemented my relationship with Him. It brought an even stronger commitment to serve Him, and to be with Him; the goal of my life. Everything else became less important. All through this period, apart from the physical profile of Sri Swamiji, His ecstatic moods, His childlike nature, what used to lift me from one plane of existence to another ecstatic plane, was His bhajans. I would record His bhajans whenever He sang them, and I also started singing and composing some bhajans. My whole worship was confined to listening and singing His bhajans. Just as I had a divine love for Him, I loved His bhajans in the same proportion. Listening to Him would cause a clear shift in my psychic level. I began to soar higher and higher as if I was intoxicated. Whenever I got the chance I would start singing His bhajans. My materialistic ambitions vanished after meeting Sri Swamiji. However, in 1976, I applied to read for my PhD at a university in the U.S. where I would secure a position as a visiting professor, after which I would become quite brilliant and ambitious. Before going I came to Him and He asked me for how long I would be there. Then He said, “Two years will be like two months.” I did not understand what He meant and thought He meant that the time would fly. So I left my family behind and went to the U.S. He said, “You will again go but for a different mission. Wait for some time.” Then in 1993 He took me along with Him on Nada Prasara tour to America and West Indies and other countries. So this particular event galvanized my faith and I realized I was not cut out for a materialistic life. My life has to be with Him, only Him. By His Grace I began to excel in my job and in my studies and gained a great deal of respect. I enjoyed my teaching and would leave a unique impression on my students. They themselves would tell me that my teaching was very special and spiritual. By that time, my longing to be with Swamiji physically also got reduced, without any volition on my part, somehow it got reduced. I began worshipping Him more and more as Guru and God. Then strong desires took hold of my mind and imbibe a knowledge that was that I must leave my job and let this mundane life be over. I wanted to live in the Ashram to be with Him and devote myself to His work. After 1995, when I retired, Sri Swamiji permitted me to come to the Ashram. It was difficult to be with Him physically. I used to wonder how it was that I was so close yet so far from Him. He distanced Himself from me and I had to bear a lot of pain. I began to experience a different relationship with Him. It was not the love relationship that was there before. I saw Swamiji as a huge tower and I was very small before Him. How can I bear this? It was very difficult for me when I thought about my initial years in the Ashram. But in one sense, it proved to be a great blessing. I had plenty of time to examine the questions which were bothering me and began concentrating more on reading the works of Ramana Mahashi in particular. I began understanding a little of the spiritual life, and then came Sri Swamiji’s sixtieth birthday. During Swamiji‘s tour in 1993, he had asked me to write a book and as I had maintained a diary I was able to compile the book, “Nada Prasara, glimpses of the world tour.” It was very beautiful, with lots of photographs and lots of astounding events. I had seen Him materializing many objects, and the most astounding was seeing Him materializing a diamond from His elbow and before He did so, He was telling us about it. When He visited the US my job was to take photographs. In the office of a diamond merchant, He said, “Show me your business.” The devotee brought His caskets full of diamonds and showed Him one diamond after another, and Sri Swamiji was like a little child, looking at each one. He told Sri Swamiji, “You can take any one of them.” Sri Swamiji replied, “Only one! What can you give me? My body is full of diamonds. I will give you.” He rubbed His shoulder and materialized a diamond and gave it to the devotee. When I returned to India I began to understand a little. For sixtieth birthday I was assigned to write a souvenir containing all the important events since 1966 when the Ashram was started here. It was difficult because I had to write a full-fledged article on Him, not a narration of His life, but the spirituality of Sri Swamiji. This is what I wanted to write. It led me to more and more readings. And then a God-sent blessing was seeing a book on the philosophy and teachings of Gorakshanath. 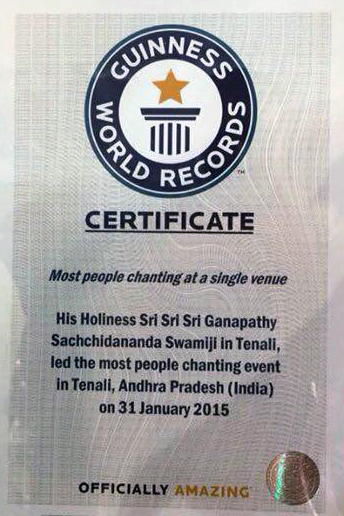 On any page I would see the reflection of Sri Swamiji there. Gorakshanath was one of the greatest Avadhoota whose Guru was Matsyendranath, whose Guru was Dattatreya. Then when I read about Gorakshanath the yogic stature of Swamiji came to light for me. As a Natha I began to understand who is a Natha, what is special about a Natha, how Natha is different from the common man, different from a saint, because all this unusual, strange, unpredictable, contradictory nature I had seen in Sri Swamiji and now I could finally place it properly. Theoretically, we were told that Swamiji was in the Natha lineage, that‘s how He was building the nine Natha temples. The first one was Dam Datta Natha in Delhi, and then I began to realize that Swamiji Himself was a Natha. The spiritual implication I had not known, but started to realize the truth of His personality, the truth of His behavior. It took me about five months to write about twenty pages on Sri Swamiji, an article which got translated into other languages. I don’t think I can write better than that article brought out for His sixtieth birthday, and from then onwards as I finished the souvenir called “Gurudeva”, another important step on my journey took place, that was the spiritual understanding of Sri Swamiji. Thereafter I would not long to see Him physically. There were no desires. I began to understand what the purpose of the initial close relationship was and which was no longer required. I began to perceive Him as an embodiment of the Holy Spirit. All of us are embodiments but we do not conduct ourselves in a holy manner. We still remain in that level of existence where most of the time we are enmeshed in the worldly affairs, and Guru or God is a pastime for most of us. With all humility I can say that Sri Swamiji caused this transcendence in me where I would be more drawn to the spiritual realm or orbit in which He dwells, and aspire to remain in touch with that spiritual orbit. During all these years, just as a child grows up slowly and carefully, and the mother caresses and pampers the child, Sri Swamiji has showered me with emotional love; we were more like friends. With Him different forms of Bhakti exist; Sakhya Bhakti, or friendly love, Dasya Bhakti, serving with love, and Prem Bhakti where there is only love. With me the entire relationship has been love, friendliness and love. Only after 1999 knowledge crept in, not giving so much importance to love, but to understanding what is spiritual life, what is Guru what is Sri Swamiji. My whole worship shifted from a specific God or specific Swamiji, to a Cosmic Power, of which He is the embodiment as He is the embodiment of that Divine Energy, and sometimes I would have glimpses of these divine flashes, and I would be unable to control my body because I would be so intoxicated with that. So the major portion of my life, of my physical life have been spent with Him; physically, emotionally, psychically and I have walked like a small child with Him. He has made me walk, and I cannot say that I have grown up, that is for Him to say. I can only say that my love or passion for the Supreme, represented by Him, has grown. I love to be immersed in that Supreme bliss whether it comes through Him physically on in the cosmic. I worship every aspect of Nature, as God is there in the Divine, so He is in the trees, the water and the fire. God is in the earth and in the air. Through Swamiji’s Grace I have begun to see how God is there in all existence! How truly it is said that parents gives you just a physical birth, but the Guru gives you a spiritual birth! Jaya Guru Datta. I met His Holiness Sri Sri Sri Ganapathy Sachchidananda Swamiji for the first time in August, 1988. But before I ever met Him, I had an experience that foreshadowed that fateful day. At least twelve years earlier, when I was only about twenty-four, I was out partying with some friends. At about 2.30 am, we decided to play in the fountain at the apartment complex. While we were splashing around having fun, we heard Indian music coming from one of the apartments through an open window. Suddenly, we saw a short Indian man walking towards us and I was sure he was going to complain about our behavior, but instead, he walked up to me and said, “Madam I have a message for you, I was listening to my bhajans and looking at my Guru’s picture and He told me to tell you that one day this music will be important to you.” He left and we all laughed it away, but something inside me knew that it was true. Although this event was forgotten by my friends, it stuck in my mind, and I knew in my heart that if I ever went to India, my whole life would change. Twelve years later that change came in the most unexpected of places. In 1987, I graduated from Slippery Rock University with a degree in Journalism. I graduated in December and it was a cold and very snowy winter. I didn’t have a job, and because Slippery Rock is a very rural area, there were few opportunities for employment. So, I decided to move to Pittsburgh where I had a better chance to use my degree. However, that wasn’t my destiny. Sadly, I was preparing to leave an area I loved. But instead, I had a very powerful dream in which someone came to me and told me that I shouldn’t move away because something really important was coming into my life in August and I must not miss it. I was also told to read the Upanishads. The dream was so powerful that I decided not to leave even though I didn’t have a job. I wasn’t sure how I was going to survive, but shortly after the dream, my landlord told me he didn’t want me to move so he reduced my rent to $100 a month and I found a part time job as a journalist. For the first three months, I attended some small Borough Council meetings and tried to make it interesting for my readers. I was happy I was earning money. In July, my editor called me and said that she wanted me to check out a Yoga Center opening in West Sunbury. She gave me a contact phone number. I called the number and someone told me that therewasno Yoga Center there, but thattheir Guru wasvisiting from India and He would be doing a concert in Pittsburgh. Although I was offered free tickets to the concert, I refused, since I was not allowed to accept perks in my position. I called my editor and told her what had happened and she said, “Gurus come and go, we don’t need that story.” As I hung up the phone, I thought “Gurus might come and go, but not in West Sunbury.” So I decided to write the story anyway, even if my editor didn’t want it. I called the contact number once again and told the woman on the phone that I wanted to interview their Guru. She insisted that He didn’t do interviews, but I persisted, and after three requests, she finally approached Sri Swamiji and He agreed to see me and said I should be there in fifteen minutes. I was charmed and at this point didn’t really know what to say to him as I watched Jesus blinking at me in His hands. I pulled my thoughts together and asked, “How do you see yourself?” He simply smiled and said, “I am very happy, very happy.” As He was leaving He said to me, “Come for the Kriya Yoga class, this is the reason why I came here, I came for you.” I told Him I could not afford the class and so He insisted that I attend for free. The next morning, my editor placed the story on the front page of the paper with a picture of Swamiji. It reminded me of the dream I had that previous January. I had found something very important, I found my Guru, Sri Ganapaty Sachchidananda Swamiji. After completing the week long Kriya Yoga Course, I knew that I could not leave Him. I was a little scared about the whole Guru concept for I did not know anything about it. All I knew of were the Hare Krishna devotees chanting on the streets, selling carnations. I told a friend of mine that I was staying with Sri Swamiji, but I would not be selling carnations on the streets. My friend laughed and assured me that Sri Swamiji was not like that. In 1990, Sri Swamiji returned to Pittsburgh and He told me, “It will seem difficult; like you lost your whole life, but I am going to give you a new life, I have chosen you to help me with my work.” After He left, I became involved with the activitiesat DRC and got hired as a college professor at Slippery Rock University. Two years passed, and I was renting a beautiful house with a pond on ninety acres of land. I reunited with someone to whom I had been engaged and we were considering marriage; my life was in a comfortable spot. Then one day it all disappeared, my landlord passed away and the property went up for sale, and my fiancée died of a heart attack. My position at my job was dissolved. Suddenly everything Sri Swamiji said would happen was coming true, my life emptied in order to be filled with what my Guru desired. In 1992, I moved to another part of Pennsylvania and I got another teaching post. My new job gave me the financial help I needed to visit Sri Swamiji in India. While I was in India, He said that I should learn to perform homa and I did. The following summer, Sri Swamiji came to my home, where I performed homa for Him and He took my prasad, giving me His official permission to do homas. In those days there were not many devotees at DRC and so we often had the opportunity to take walks with Him. As we were walking He asked me, “You don’t want Sannyasi?” I told Him, “No, Swamiji, I would like to be married.” He said, “If you finish your PhD I will marry you to a great man.” I agreed. Even though I had a straight 4.0 average in graduate school and completed my comprehensives, no matter what I did in the coming years, I couldn’t quite get that dissertation completed to finish my PhD. He had other plans for me. A few weeks after I returned from Israel, I went to visit the Datta Retreat. While I was there, Sri Swamiji called and when He learned that I was there He passed along the message that it was time for me to get another new life. Shortly after that, I learned that our college was in financial trouble and I was laid off from my teaching job. It was time to move again for my Guru. I moved to Central Pennsylvania to a house on top of a mountain. The closest town was eighteen miles away. I was isolated, but I got another teaching post within a week. I had a large piece of property, and in meditation it came to me one day that I should build a Yantra garden. That year, I saw Sri Swamiji in Baton Rouge, and he confirmed that the garden was to be a twenty-one foot Sri Gayatri Yantra on top of the mountain. In the place of the Bindu, I built an eight-sided gazebo where I would sit to meditate. I sent a list of the trees and plants to Him and I planted everything according to His approval. When it wascompleted, I took pictures and showed them to Him. He put His finger on the Gazebo (Bindu) and said, “Now I put my Shakti there.” I spent five years there, doing Homas according to Sri Swamiji’s command. I used to sing bhjans to the plants and trees each evening as I watered the garden, and I meditated and practiced my Kriya Yoga there. While I lived on the mountain, I took a course in Critical Incident Stress Management and began working as a counselor to police officers, fireman and EMTs, when called upon, following disastrous events as a volunteer. During this time, Sri Swamiji sent a message for me to work with Dr. Lewis Mehn-Madrona, who was practicing alternative medicine in Pittsburgh, and had published the book, Coyote Medicine. I went to him as a patient, and much to my surprise, during that first visit, Lewis asked me if I wanted to work with him. I said I did. I wasn’t sure how that was going to happen since I was still teaching full time, but Sri Swamiji had already seen my future. At the time, I wanted to go to India to release the book ‘Life of a Mystic’ which I had edited, and later to also visit a dying friend in Chennai. I asked permission for leave and was told that I shouldn’t go but stay and complete my PhD comprehensives. If I went to India, I would lose my job. I decided to be with Sri Swamiji and my dying friend. When I came back from India, I completed my final teaching contract and began to work for Lewis. I asked Sri Swamiji what was He was teaching me through all this. In my meditation He answered saying, “Yes, the lesson is Creation, Preservation and Destruction. You created it, you preserved it, you gave it to me and I destroyed it.” When I heard this I felt better and realized that if it were not destroyed I would not have moved away, because I would have had to stayed and care for it as long as it existed. I went to Sri Swamiji’s program the next day and I said nothing to Him about moving to New York. He was going to New Jersey and I followed Him there. Part of His program was a visit to a temple in Flushing, New York. I attended high school in Manhattan and I was familiar with some of the places. I was driving behind Sri Swamiji’s car and I realized that we were going to an area I used to visit. I felt as if Sri Swamiji were bringing me home. After Sri Swamiji program, since Lewis was already working in New York, I decided to go into the city for lunch with him. I went to his office in Manhattan and he left me in the office of a friend while he went to take care of some last minute business. While there I noticed a Ganapathy murti on his desk and it seemed to be saying to me, “Got you, got you.” By the time Lewis came back his friend had offered me a job that I couldn’t refuse. Sri Swamiji was right. I was going to be working in New York City. Instead of my lovely stone house on the creek in Philadelphia, I found a new home in New Jersey because I wanted to be close to the Datta devotees there. I worked with Dr. Lewis for some time and then I began working at Princeton University as a faculty liaison in the bookstore. Then September 11th 2001 came, the historic day when the planes crashed into the twin towers. The night it happened the local police called me since I had my training in Critical Incident Stress Management. They took me to work with some police officers who had witnessed their fellow officers being killed. I also worked with some of the local hospitals to train the staff on how to deal with this situation. I even set up an emergency clinic and counseled some of the rescued victims who were trapped for days. My Reiki students and I also performed Reiki healing on some of the victims. I was glad that I had something to offer at this critical moment in our country’s history. But more importantly, I realized how all knowing and loving our beloved Guru really is. On September 11th the airplane, United Airlines Flight number 93 that took off from Newark and was heading for San Francisco, crashed into the mountains of Pennsylvania. The site of the crash was near where I had built the Sri Gayatri Yantra. The plane crashed into the middle of a triangle that was formed by the Bindu of my garden whose imprint had been burned into the ground, a nearby spiritual center where I had frequently performed homas and another Transcendental Meditation Center whose owner had been blessed with Sri Swamiji’s personal seat for his own practice. The plane had to have started its descent over the Yantra to fall in the middle of the triangle. There were four hijackers on board, who knows where they were taking the plane. Sri Swamiji protected this country from a disaster which could have been worse than what had happened. When I realized where the plane had crashed and that He allowed me to be working with the first responders to the Towers, this was the day my life became completely surrendered to Sri Swamiji. In April of 2002, I went to Trinidad to have the darsan of Sri Swamiji. I took some gifts from Princeton for Him and He told me to quit my job. While I was walking out of the room He asked me if I were coming to Baton Rouge to meet Him that summer. I told Him, yes! He said, “Do not to come to Baton Rouge, but come to Augusta during the summer instead.” I came back to the University and instead of immediately resigning from my post as Swamiji had said, I gave my boss a sixty day notice. After I handed in my resignation, my boss made my life miserable and I thought that I should have listened to Sri Swamiji and just quit. I them gave them a seven day notice and left not knowing how I was going to pay my bills. Summer came and I joined Sri Swamiji in Augusta Georgia. It was a very quiet and relaxing time with Him. On the last day of the visit I was sitting in the back yard and Prasadi came to me and said, “Daria, Swamiji said to get out of New Jersey as quickly as possible.” I said, “OK!” The next day at the Augusta airport I was sitting at His feet and I told Him what Prasadi had said, He looked at me and said, “Yes, I told Him to tell you.” I said, “Whatever you want me to do and wherever you want me to go, I will do as you say Swamiji.” He looked at me and said, “No, Datta will tell, something is coming in the mail.” By now, I had learned that I should not question Sri Swamiji and just surrender to His will. I flew back home and when I got there, late in the night; I got a letter from the Baton Rouge Community College asking me to appear for an interview. I had applied there five years earlier, when I had to leave the mountain retreat. I thought that this was a good sign, but inadvertently the interview date had passed. The next morning, I went with some of the New Jersey devotees to Washington DC for His program. When I met Sri Swamiji, I told Him, “Swamiji I know where I am going next, I am going to the Baton Rouge temple.” He said, “No, not the temple, you are going to do Baton Rouge Seva.” I became all excited and said, “Yes Swamiji I will go and do Seva in the temple.” He then said, “NO! 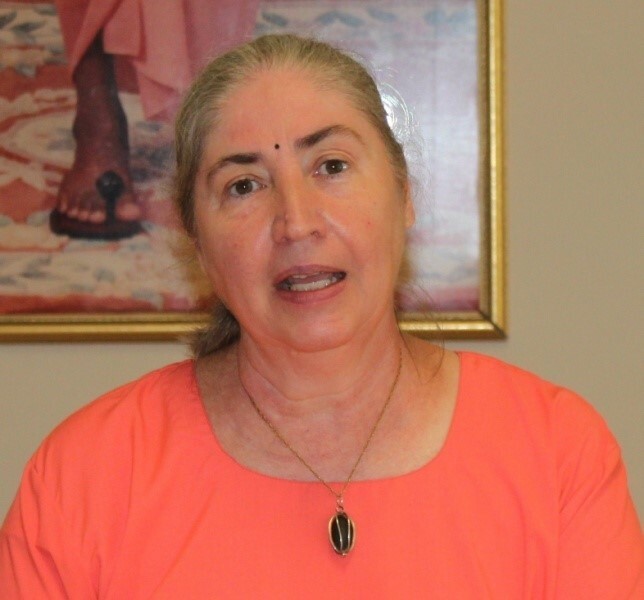 not Datta Temple, you are going to do Seva in Baton Rouge.” I began to speak again and He cut me off saying for a third time, that I was coming for the city and not the temple. For whatever reason I had to be there, I knew I had to move to Baton Rouge. In September, 2002, I moved to Baton Rouge LA without a job. Two weeks later, a major tropical storm, Isadore, hit. And a week later, Hurricane Lily crashed onto Louisiana shores. On the television, I saw that FEMA—the Federal Emergency Management Agency was hiring. I went to their office and got hired on the spot. For six months, I worked there and then returned to teaching. But, I was able to continue my disaster seva in the years to come with Hurricane Katrina, Rita, Gustav and the Gulf Oil Spill. I have always been grateful to Sri Swamiji for placing me in Baton Rouge to do seva during these monumental disasters. In 2004, I got a message from Him to stop doing Homas, Poojas and my Sadhana. I stopped as He requested and then I realized that this was my life and how much it really meant to me. Then later, after nearly one year, He sent another message for me to continue where I left off performing Homas, Poojas and my Sadhana. In early 2005, I was planning a trip to visit Assisi in Italy for the summer. Then Sri Bala Swamiji made a surprise visit to the Datta Temple in Baton Rouge. Even though I had seen Him many years earlier in the ashram as a little boy, Prasadi introduced Him and Bala Swami said to me, “Sri Swamiji said to be in Baton Rouge andPittsburgh when He visits, for He is bringing very powerful energy to America this trip.” He told me with such urgency that I did not question anything. I immediately cancelled my trip to Italy. In May, 2005, my mother developed rapidly spreading breast cancer and since I have no other family I had to fly to Pennsylvania to be with her. July came and Sri Swamiji came to Baton Rouge. I could not leave my mother so I sent a message to Prasadi to inform Sri Swamiji that I was with my dying mother. I sat with her and prayed. I had this battle in my head going on. ‘Your mother is your first Guru, but you have to tie yourself to your true Guru. You have to be with Sri Swamiji, what are you going to hold on to?’ I came to a decision and for three days I left Pennsylvania and came to see Sri Swamiji in Baton Rouge. When I reached the temple, He was inaugurating the new Guru Nilayam and the milk had just boiled and overflowed on the stove and everyone cheered. He looked at me and said, “Ah good! you made it.” We spoke later that day and He told me that I should come to India for Shivaratri to do the initiation. He also told me to start wearing orange clothes immediately and see how I felt. The first day I donned the orange clothes I flew to Pennsylvania to see my mother and she passed away shortly after I arrived. My new life as a sannyasi began with her death.